Do you know, China has had a giant robotic telescope on the Moon for the past two years and it’s still working great. Yes, it’s two years since China put its first lunar rover onto the moon. 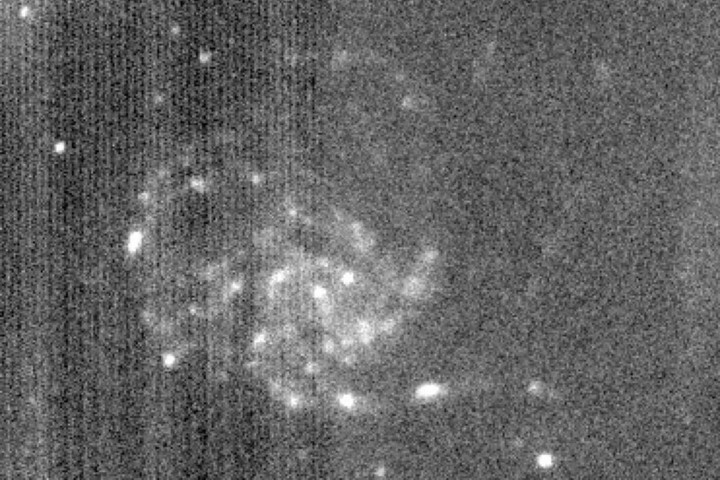 What you might not know, though, is that the lander that took it there also carried a robotic telescope. Chinese researchers have reported that their robotic telescope, the first of its kind, has been operating flawlessly ever since it landed on the moon in 2013. The 15-centimetre robotic telescope is mounted on the Chang’e 3 lander, which touched down on the lunar surface in December 2013. Chang’e 3 carried the Yutu rover, which repeatedly struggled to survive the lunar night and ceased working in March this year – but the lander is still going strong. The telescope sees in ultraviolet light, making it particularly suited for observations that aren’t possible here on Earth. “There is no atmosphere on the moon, so unlike Earth, the ultraviolet light from celestial objects can be detected on the moon,” says Jing Wang of the National Astronomical Observatories in Beijing, China, who is in charge of the telescope. And since the moon rotates 27 times more slowly than the Earth, the scope can stay fixed on the same star for a dozen days without interruption, he says. In the first report to detail the telescope’s performance, Chinese researchers explain that it’s been run for 2000 hours and gazed up at 40 stars. It’s also captured an image of the Pinwheel galaxy, which is shown above. OK, so the images aren’t the crisp astronomic images we might be used to seeing, but it’s virtually impossible to capture a UV image like this from Earth because of our atmosphere. So be grateful for what you get. Astronauts on the Apollo 16 mission had a manually operated UV telescope, which they used to take pictures of Earth, stars and the Large Magellanic Cloud. But the Chinese telescope is the first to be operated remotely from Earth. New Scientist points out that the Chinese team in charge of the telescope actually expected it to last just one year of operation on the moon, yet it continues to work today.